Best nail Puller in the business The Ez Crease Nail Puller is designed to lock over the nail head along its taper, easily removing the nail from a creased, swaged, or fullered shoe. Superior Jaw Design The design of the jaw enables it to pop up the nail, and lock onto the head with just a squeeze. 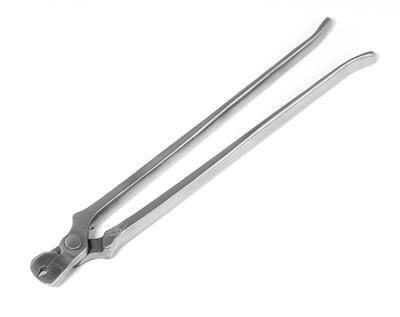 The Ez Crease Nail Puller is designed to lock over the nail head along its taper, easily removing the nail from a creased, swaged, or fullered shoe. The design of the jaw enables it to pop up the nail, and lock onto the head with just a squeeze. The rolled head design allows for easy rollover once the jaws are locked on the head, extracting the nail with one easy motion.